Etixx - Quick-Step rider Zdenek Stybar took the race to the rest of the peloton on Saturday, attacking multiple times in the final kilometers, including with 9km to go in the race. The Czech rider had already been testing the legs of the yellow jersey group, with Team Sky protecting the leadership of Geraint Thomas. Stybar was even solo with 5km to go, but the race came back together just before the Cat. 2 finish on Alto do Malhão (2.5km, 9% average gradient). Team Sky was able to keep Thomas in good position, but the stage win remained in question. There were only nine riders left in contention for the stage win inside the final kilometer, including Etixx - Quick-Step rider Kwiatkowski. It was Thomas's teammate, Richie Porte, who emerged as the stage winner, with UCI World Road Champion Kwiatkowski a few seconds behind in 2nd. Jon Izaguirre (Movistar) was 3rd. 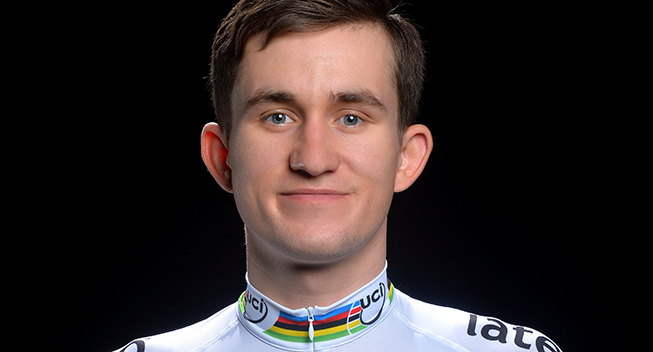 Due to the 2nd place finish ahead of Thomas, Kwiatkowski moved up to 2nd GC, and reduced the time gap from 39" to 37" after the 4th Stage. Tony Martin and Michal Golas also entered into a move earlier in the stage, and Martin had tried to attack on another occasion as well. Etixx - Quick-Step will continue to play the role of protagonist as they look to the final 184.3km stage, from Almodôvar to Vilamoura, on Sunday. There is one Cat. 3 climb in the earlier kilometers. There is a descent into the finish. "I stayed quite calm until the first climb of Malhão," Kwiatkowski said, "We decided when the race came back together to accelerate. The peloton was reduced to 25 or 30 riders at that point. As decided with the team this morning, we then tried to attack and put the pressure on the other teams. First Tony Martin went, and then also Golas and Stybar to make Team Sky work hard in defense of Thomas. In the end it didn't succeed, but really it made the whole peloton work hard. The guys were super today! "As for me, I waited until the last climb. Richie Porte was setting a really good pace. In the last kilometer I was riding pretty hard to try and go for the win, but Porte was really strong today and I couldn't follow him in the last meters. He deserved the victory. "Concerning me, I am happy about my day today, and also I am really proud of the team. We stuck to the plan perfectly and if you don't try, you never know if your tactic will work. "This was a really long day, six hours of racing. I think the endurance training in Calpe worked very well for me. In the final kilometers I didn't feel tired, so it's a good sign before my next races and things are on schedule. The feeling is much better than even two days ago. "Now we will see what we can do tomorrow on the last stage. We have been racing great so far, with two stage wins and always being present in the actions, so I am confident we will do well again tomorrow."